Perfectly situated in the heart of the largest linked ski area in the world, Meribel is a fascinating ski resort for all. It is one of the most attractive spots in the French Alps with its tree lined pistes and traditional alpine style buildings, and a popular ski destinations that families and groups return to year after year. Meribel is always my go to resort in the 3 Valleys with easy access to both Val Thorens and Courchevel. 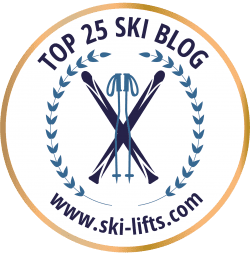 If you are considering somewhere different to go for your next ski holiday or if you are heading to Meribel soon here are my insider tips to help you make the most of your week in one of the leading ski resorts in the world! Le Rond Point, or ‘Ronnie’ as locals call it, is one of the best après bars in the Alps. Located above the Meribel Centre at the Rond Point des Pistes, it is positioned on the sunny side of the valley in goggle tan heaven. With live music 7 nights a week and its famous toffee vodka, you’ll be dancing on the tables in your ski boots by 6pm. Take note of what night The Dominos are playing for the best après ski experience ever! The Ronnie also offers great food throughout the day on its ski in-ski out sun terrace and a fantastic dining experience inside the cosy restaurant. The Montagne Burger is one of Meribel’s best kept secrets. The legendary burger is a juicy steak, drowned in melted raclette cheese topped with spicy sauce and gherkins, packed between 2 sides of French stick. To get your teeth into the ultimate ski munch, head to the mini mall at Motterat and look out for the hole in the wall by the supermarket. You will end up going back more than once! Instead of booking coach transfer you can take advantage of the easy to drive and scenic Geneva to Meribel ski transfer. Avoid the long, cramped journey in coach or escape the costs of hiring a car for the whole week, instead hire a luxury 4×4 SUV for just the transfer. Its super efficient, all inclusive and great value! The Ultimate Ski Challenge: Conquer the largest ski area in the world by skiing the 3 Valleys in just one day – What better way to brag to your friends back home? Get first lifts and tick off as many of the ski villages as you can. Just make sure you get back to Meribel quickly afterwards before lifts close, then you can enjoy a well deserved beer and maybe even an après dance if your sore feet can handle it! With a huge range of beginner and intermediate pistes, it is the perfect resort for a family holiday. There are various family friendly accommodations and childcare options across the resort to choose from, from private chalets to British tour operator hotels. Kids benefit from plenty of beginner friendly ski areas, and will love the mini boardercross and animal themed Moon Wild in Meribel.